The Wall Street Journal acknowledged that the United States Military academies are “the best business schools in the nation.” (Scott Snair, West Point Leadership Lessons (Naperville, IL: SourceBooks, Inc., 2004, ix.) Foremost among them is West Point Academy in New York that is especially renowned for equipping cadets, and future business leaders, with teambuilding skills and insights. Patrick Hynds, a former West Point cadet and chief technology officer for CriticalSites, Inc., learned his most essential teambuilding lessons from his training at the military academy. One West Point principle about teams that Hynds now applies in the marketplace is this: “If a small team within a bigger organization holds rigid standards and a fanatical determination for perfection, they’ll become the center of everything going on in the organization (Snair, p. ix).” Thus, teams are not only an effective method for tapping creativity, they also represent an efficacious way of exacting culture change throughout an organization. Instead of insisting upon such changes arbitrarily in a hierarchical mandate, the teaming organization authentically and intentionally models it and cultivates it within the context of the team. In other words, a high-performance and highly motivated team strategically placed within an organization can create tremendous change within the culture of that organization. Another component of the “West Point Way” related to teams is the process of induction into a new or existing team. An effective start for a team or team player often proves to be the decisive factor in how much they offer and contribute to that particular team. The wise manager and mentor will pay close attention to the team’s and the team player’s start-up. If making people productive means first getting them to feel important, then mentoring is the ultimate method for doing that. . . . people contribute most constructively to a team when they feel they are an essential part of it and when they believe they own a stake in its direction and success. Having the attention of a senior person on the team – even in tutoring mode – gives the team member a sense of worth and a feeling that perhaps there’s a long-term investment of time and effort taking place (Snair, p. 114). An effective mentoring induction step in any organization benefits both the new recruit and the mentor. While hierarchical cultures tend to only consider particular tasks or functions and the results they produce, a teaming culture is organic; it is best viewed in a more holistic manner. Thus, a mentoring component not only benefits the upstart team member or protégé; it also sharpens the mentor’s skills and improves his view of the overall organization. Besides influencing the team, mentoring is good for the mentor in other ways. Being in a position to help others first means being on top of one’s game. It’s difficult to give advice or point people along a gainful career path without taking stock of what’s going on in an organization or a professional field. West Point’s team training emphasizes that the primary focal point is not the highest ranking officer, but the upstart soldier. Pacific Fleet Commander D. Michael Abrashoff once said, “The most important thing a captain can do is to see the ship from the eyes of the crew.” Popular views of military leadership are often hierarchical in nature. However, this has often proven to be an inaccurate stereotyping. 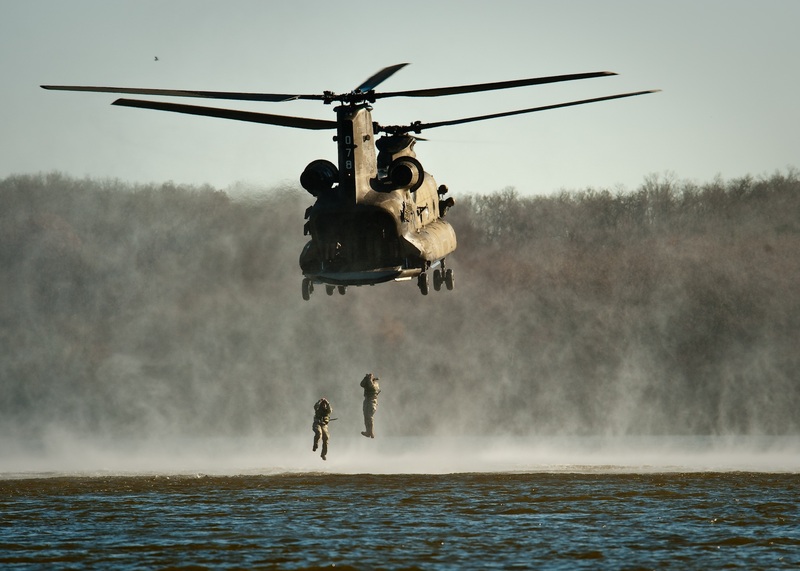 A closer look reveals that most military organizations depend heavily on the teaming values of cooperation and collaboration.